Large pores on your skin can be a result of your age, the type of your skin, genetics and exposure to sunlight. Women have a tendency of using various ways to reduce the prominence of skin pores. While they are important for your health, pores don’t necessarily have to be highly noticeable on your skin. When bunged with oil or when they are affected, pores are normally enlarged. Learning how to shrink pores can help you deal with the highly obvious ones on your skin. How it helps: Yoghurt is an easy way of dealing with your skin pores. It does this by dissolving impurities in your skin pores through the lactic acid present in it that shrinks the pores to smaller sizes. Additionally, it reduces the visibility of fine lines consequently preventing skin wrinkles. How to apply it: Take some yoghurt and apply it. This should be left for about ten minutes before you wipe it off using a wet and clean face towel. It is important to rinse your face once more. How it helps: Clay masks works by drawing oil and water from your skin. It shrinks your face at the pores making them smaller. It has a detoxifying nature that squeezes the skin pores to get rid of any oils and water percolated in them. The ultimate goal is to produce a refined skin sense without noticeable pores. How to apply it: Clay mask should be applied gently on your skin. Make sure it covers every part of your skin and leave it for some time. 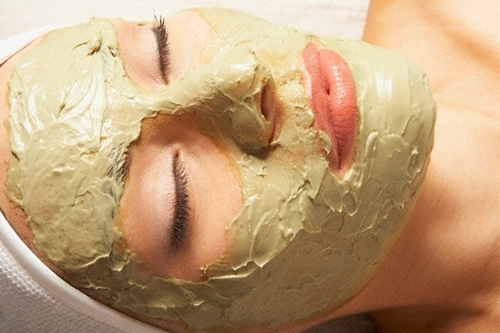 It is important not to let the clay mask dry for a long time, otherwise it can be irritating. How it helps: Skin exfoliation works by getting rid of dead cells from your skin. For perfect results, skin exfoliation can be done severally, depending on your skin to remove any unpleasant skin layer full of dead cells. The end result is a smooth and radiant skin you have always desired. How to apply it: Firstly, it is important to choose a product that will not irritate your skin. There are various options available. Application is done by rubbing skin peeling acids against your skin. The pressure applied during the rubbing dictates the extent to which the skin exfoliation process will take place. How it helps: Egg white works naturally well by tightening your skin. It has an ability to shrink the huge skin pores on your skin. It helps by producing a shiny and stable face without conspicuous pores. How to apply it: Open the pores on your skin by washing your face with warm water. Mix the egg white with lemon juice to reduce egg smell. Whisk the mixture and apply it softly on your face circling upwards. Wait for about 15-20 minutes before washing off the now hardened face with warm water. Apply oil without moisturizer to make your skin supple. How it helps: Highly concentrated lemon juice changes the skin by reducing the appearance of skin pores. Naturally, the lemon juice will shrink the pores. However, it is not recommended for anyone with a dry skin. How to apply it: The lemon juice can be applied by wiping it on the face using a cotton pad. The application should be left for about 5 minutes before it can be rinsed off using cold water. To prevent the skin from drying, an oil-free moisturizer is highly recommended. For those with a dry skin, the juice can be diluted in rosewater prior to application. How it helps: Almond meal works in a pore refining and fading process. How to apply it: Place a small portion of almond in a blender and throb it to get an even powder. Prepare a thick paste using water. This paste is then applied smoothly and evenly over the skin pores. Leave it for about 30 minutes to dry. After that, the dry application can be washed off using lukewarm water. Dry up the skin using a clean cloth. The results of this application can be enhanced through a repeat process of 2-3 times per week. How it helps: These herbal compresses work by treating large pores, making them invisible on the skin by squeezing them. How to apply it: Pour about one cup of hot boiling water into a small portion of the herbs placed in a heat-proof container. Cover the mixture and wait for about an hour. After the contents get to a room temperature, sieve it to remain with the resulting liquid and place a clean cotton cloth in it to soak for some time. Using the cloth, apply it on the face and wait for 15 minutes before washing off. Repeat process at least once per day. There is always a temptation to pick your face when the pores are stuffed. However, this should be evaded because it may result in large pores as a result of the trauma caused through the squeezes and the pulls on the skin. Learning how to shrink pores without picking is always useful. Effective results of shrinking your skin pores can be attained by washing your face on a daily basis. However, this should be done gently without scrubbing the skin; otherwise it could damage the tender skin layer. Learning how to minimize pores will require the use of cleansers while patting your face. The cleanser you use should enhance the process of getting rid of the pores in your skin. A salicylic acid cleanser is helpful to reduce the layer of dead cells clogged in the skin pores. The wrong cleanser will affect your procedure on how to shrink pores.